UPDATE: Ornament swap is closed now (as of July 6, 2010). Thanks for the interest! I usually start thinking about crafts and gifts for Christmas the week before Christmas. I am an “in the moment” kind of person! Last Christmas, I participated in two ornament exchanges, one with a friend and one with a blogger who would become a friend. I love making ornaments and exchanging them. I am starting to get my thoughts organized for our Christmas in July Ornament Swap. I even made a button for us to spread the word! Here’s the code to copy if you want to post it to your blog. For now, it will just link you back to my blog. 1. Should partners be assigned where you are exchanging with the same person who has your name? 2. Or, should partners be random and anonymous? 3. Or, should we exchange in groups, so for example, you would make five of the same ornament to send to five people? 4. 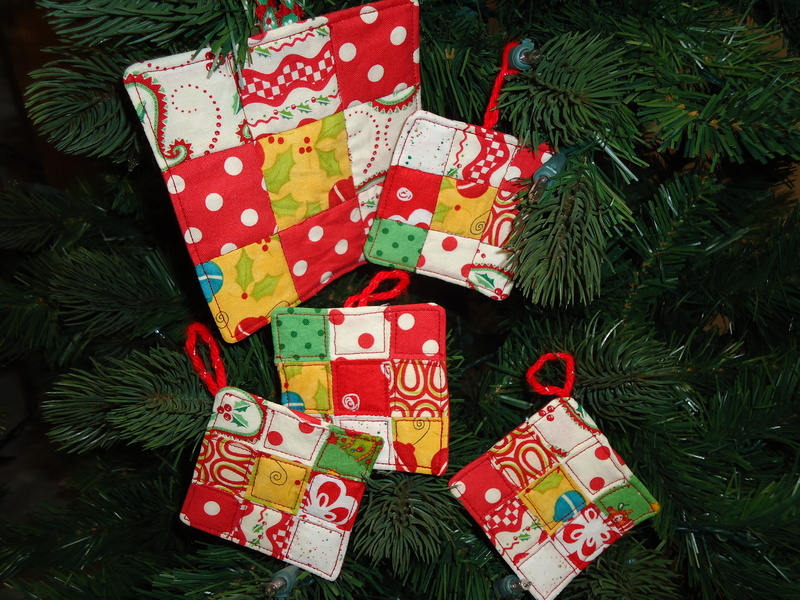 Should we exchange just ornaments, or do you want to include another little crafty project of your choice, such as a potholder, mini quilt, patchwork card, pincushion, favorite holiday recipe, or whatever your fancy? I have a couple giveaway items planned for participants in the swap too, so stay tuned! I am hoping to open up the sign-ups in a couple weeks, around the end of June. I’m thinking our deadline to mail our crafty items should be the last week in July. Let me know in the comments or an email what you are up for, if you are interested in participating. Remember, it’s summer so we want to keep it simple! How fun! I think that we should have an anonymous exchange, and can include something extra. It’s always nice to get a little extra surprise! And sign me up! I’d love to participate, no matter which way you decide to do it! Yay! I thought about this the other day and wondered if you were still up for coordinating it. I like the idea of one anonymous exchange rather than a group. Adding something extra is a fun idea! I’m up for it also, sounds like fun. I need a little fun right now. I think going with one and adding a little extra gift sounds good,but will go with whatever you decide. i agree with what they said … i really don’t have the time to make multiples but love to add something extra … it could even be international, too …. just a thought …. I agree with you about keeping it simple because it’s summer. An ornament with small “extras” sounds fun and easy with a single partner. I’m new to the blogging world and just finished sending in my first exchange, (Jaybird’s siggy quilt block exchange) and I’m ready for my next project! 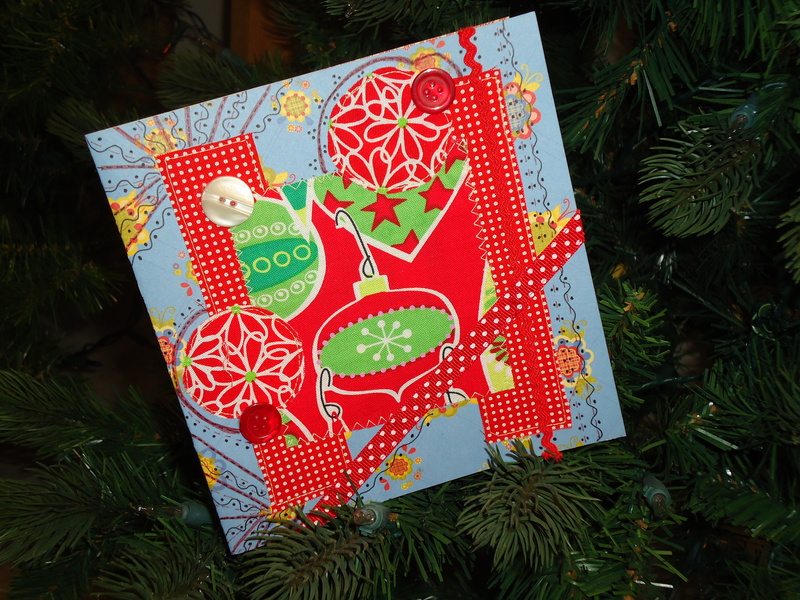 Your Christmas ornament exchange looks fun and would you be so kind to sign me up too! I would love to participate as well. I agree with what everyone else has said. Now does the ornament have to be sewn or just crafty or our choice? This is my first time to your post and I love the idea of joining a swap. I love making Christmas items. Can I join too? This sounds like a lot of fun! Absolutely, you can join! Do you have a preference as far as the exchange? It seems that most people want to exchange with just one other person so we only have to make one ornament. Stay tuned for sign- ups later in June. I think keeping it random would be fun. I’m a fan of randomness! And I’d totally make more than 1 if that’s how it turns out! Thanks for hosting this !!! Could we have a “Chanukkah Swap” division? I think there are enough of us floating around! oh my goodness, Joanna, you are absolutely right! I hope I wasn’t insensitive in calling this a Christmas Swap. How about just July Ornament Swap?! What fun!! I am currently hosting a block exchange swap where each participant mails me the number of blocks they want to swap along with postage, and I swap out their ornaments for others and mail back. So if Jane mails 5 in, she gets 5 different ones back and if Sue mails in 3, she gets 3 different ones back. This works well because you can make all yours the same or different (so long as the number you make the same doesn’t exceed the number of participants), and you are stuck with a certain number to make. So if someone wants to participate, but only has time to make 2, they can, but if someone else wants to make more like 10, they can too. It makes more work for the hostess to swap and mail out, but it’s a lot of fun. This ornament swap sounds like great fun. I’d be happy to do international swapping! Hello Terri, I would love to join in the Swap. 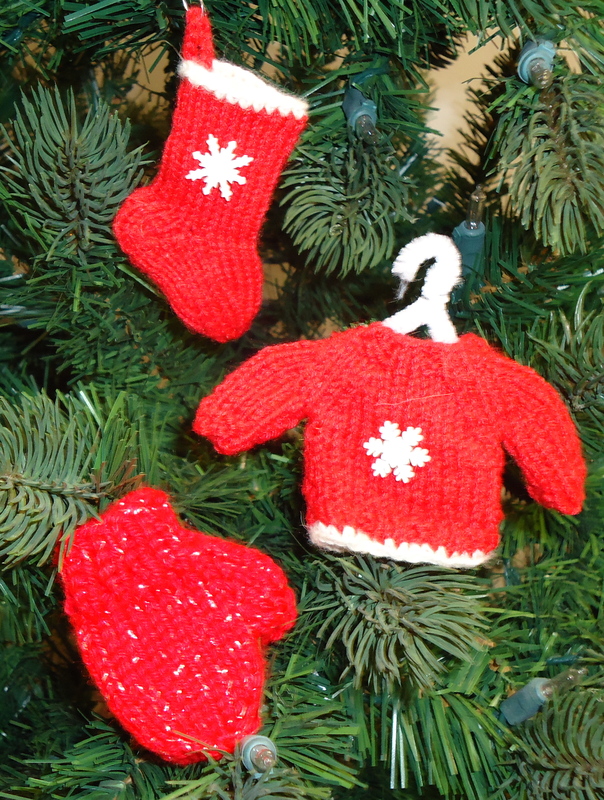 Perhaps you could put some ideas of ornaments on your blog so we can have some idea of what to expect to make. I don’t mind adding a few things extra but they will have to be light as Australia Post loves to make money!!! I agree with what Bev .C. said as I also live in Australia but would love to join in. I enjoyed having a look,thankyou.